The Persian Joomla Community is proud to announce Joomla Day Iran. 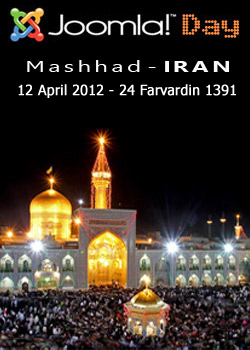 Joomla Day Iran will be held on April 12, 2012 in Mashhad. This is a ideal opportunity for the Persian Joomla community to come together & meet some of the Joomla experts and Joomla Farsi moderators.